A sneeze generates a wind of 100 mi/hr and a cough moves out at 60 mi/hr? Stay wrapped up and well this winter! Cradles to Crayons: Friday November 9th! What: Please email HEPS.volunteers@gmail.com to register today! Spots are VERY limited! Travel options available and will be discussed with our Volunteering Team.Remeber HEPS is always running volunteer events so keep up with HEPSedrin for more information! If you have any inquiries, please email HEPS.volunteers@gmail.com. MCAT classes starting this winter! Jan 19 – Apr 28, Saturdays 3 PM, Sundays 4 PM Harvard SquareHEPS members get discounts with Kaplan. HEPS members get a 10% discount off comprehensive MCAT courses, plus a free MCAT Online Science Review (RTV $499). Discounts for the GRE, DAT, OAT, or PCAT, too. Contact your local representative, Valerie Kua , for more information. Brigham and Woman’s Hospital (BWH) is celebrating their first annual Research Day on Thursday November 15th, from 8:00 AM until 6:00 PM. This is a day-long celebration of inter-specialty research at BWH. As such, a poster session, with presentations from over 150 physicians and researchers will be presented, and will be followed at 3:00 PM by a keynote address “The Century of the System” from Atul Gawande, MD, MPH. There is no cost for admission and breakfast is provided. This a very rare opportunity to be briefed on the state-of-the-art medical science and methods of various treatments by the research teams at BWH themselves. We are anticipating this to be a very powerful networking event—After Dr. Gawande’s address, there will be an open-floor mixer where the presenting research teams will be available for discussion. If interested, be sure to register online at http://bwhresearchday.partners.org/register/ ASAP. Please mark your affiliation with HEPS so that we will be recognized as a group! Where: Meeting in front of the Science Center and traveling to Longwood as a group. Anyone is welcome to meet us at BWH! What: Please RSVP to HEPS.Social@gmail.com to join us! Also please indicate your affiliation when registering above. Please join HEPS for an afternoon of volunteering with Rosie’s Place, a sanctuary for poor and homeless women. HEPS has a long standing relationship with Rosie’s Place as it continues to offer long-term assistance to those most in need. What: If you are interested in volunteering, please email HEPS.volunteers@gmail.com to RSVP and save your spot! The Crimson and Bulldogs clash once more in one of the oldest football rivlaries in the country! Come join HEPS at John Harvard’s brewhouse to watch the game, socialize, and support our home team. Make sure to wear your crimson and memorize the fight song! We will be auctioning off another MCAT course and providing limited refreshments to our attendees. Go Harvard! What: Please RSVP to HEPS.Social@gmail.com to secure a spot! This wil be a great opportunity to relax before the rush of finals and we look forward to seeing all of you there! What it is: A breakdown of the MCAT with included practice problems. The strategy session is a chance for students to see Princeton Review teachers in action and to increase their take home test taking skills. 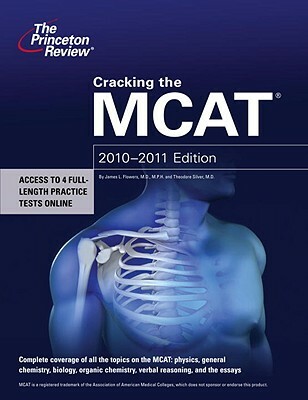 This also includes useful information about the MCAT. Instructor: TBDIf you are interested in attending this event, please RSVP to HEPS.Social@gmail.com. Space is limited! Boston Young Healthcare Professionals and HEPS Collaboration! Though they aren’t listed on the website, BYHP is accepting student members at a discounted rate of $30/year. Visit their website to contact BYHP and become a member of this exciting organization! Description: Jonathan Gruber is an MIT economist who worked on Massachusetts Healthcare Reform and for President Obama during the crafting of the Affordable Health Care Act. He will speak about his career and provide advice to members.